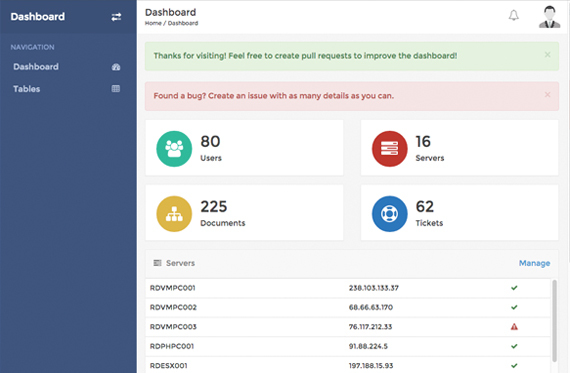 RDash Angular is an AngularJS implementation of the RDash admin dashboard. The dashboard uses a small number of modules to get you started, along with some handy directives and controllers to speed up development using the dashboard. rdash.min.css file is missing in zip file. How to download this file ? Just follow the installation steps. You won’t need to download anything. Congrats! Really good stuff! Thanks guys!